There is never a dull moment in the world of gardening, especially when it comes to the weather! Snow, ice, frost and biting easterly winds haven’t really been kind to us this spring. They often say you can get the four seasons in a week, however mid March and I think we had them all in one day! Of course the impact isn’t just to keeping the roads open, or delaying those first outdoor sowings, it’s the effect on our wildlife. Recently both bumble and honey bees (pages 8-9) enjoyed a couple of days of warmth and were eager to track down pollen on Hellebores, Heathers and early spring bulbs and then a weekend of sub-zero temperatures changed all that. Our gardens can be strange places, but as gardeners we just have to accept it as it comes with the territory! Whatever happens in April, at least our gardens will have benefited from some cold weather to kill off pesky pests and we should find strong growth once the sun gets to work on the soil. Spring is always exciting - the anticipation of better things, wonderful colour from blossom trees and shrubs, fragrance from bulbs, musical bird song and the urge to get planting and sowing. Whether you spend an hour or a day tending to your plot, the cheery sight of Monty Don and the Gardeners’ World team helps enthuse and entertain us. The Beechgrove Garden returns later in April to our screens with inspiration and practical instruction. It is then up to us to put it all into action. We look forward to seeing you soon! Enjoy your late spring garden - whatever the weather! It’s all change in our lower level shop as our newly extended Food Hall has now taken shape in what was our Aquatics area. Sadly we’ve had to retire our aquatics and poultry livestock sections. However, we will still be selling popular lines of the bird care range, pets and aquatic plants and products. This major change around has given us the perfect opportunity to develop a much bigger and improved Food Hall for our customers and has allowed us to introduce a whole new range of products as well as expanding many of our existing ones. This is certainly true of Wrendale Designs by Portmeirion, which continues to grow, so there’s always something new to add to your collection. New to the area is Kilner by Rayware featuring a host of practical preserving jars (pictured left) and the essential accessories. 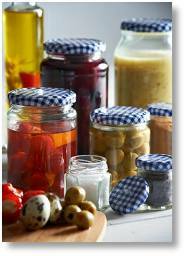 There is no doubt home preserving is one of the areas where gardeners like to take the plunge into cookery so ensuring the fruits of their labours are tastefully preserved. Rayware also supply Mason & Cash, famed for their great range of traditional mixing bowls and baking accessories. Recently this has been expanded into cake tins, in a cool blue theme. traditional wooden kitchen utensils, spatulas, honey dippers, forks, spoons and scoops. However we continue to carry the hugely popular Stow Green range which can be found in the baking area. This years colour trend is cream, green, white and grey and we have embraced that in many ways. Firstly with the Walton & Company which we introduced at the end of last year. The range now includes decorative tableware, table runners, placemats, aprons, oven gloves and mitts. There are also a few napkins and rings just to add that extra touch when you dress your table. 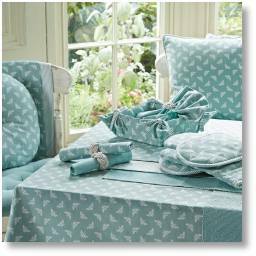 Walton & Co are known to be one of the oldest manufacturing companies in Yorkshire and their beautiful table linens in cream, blue, grey and green now feature in their range. However, also look out for their spring/summer 2018 lemon grass range. Proving popular is the quintessential English Bumblebee print design in 100% cotton (pictured above right). 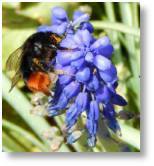 Sales help support the wonderful work carried out by the Bumblebee Conservation Trust. Secondly, we have extended the range of T&G into grey and white, alongside the cream and green. T&G is mainly crockery storage and other accessories for the kitchen. We continue this theme with Kitchen Craft tinware also in cream, blue, grey and now with the introduction of green. On the theme of green, this tinware range now includes compost bins. Our new and extended Mug Wall features Churchill China and is a great place for inspiration if you are planning to update your current mug collection this spring. Many of our homeware ranges make particularly good gift ideas and the Peggy Wilkins’ range of gloves, oven gloves, aprons and tea towels certainly fits the bill. ur ever popular ranges of Mrs Bridges jams and conserves has been moved to the Food Hall with exciting new lines being introduced this spring. Do watch out for some special promotional offers: these include Blackcurrant Preserve with Sloe Gin, Orange Curd and Apricot & Orange Chutney to name just a few. Located close by and sharing a flavoursome following is the popular range from Cottage Delight, which feature over a number of shelves a host of tasty treats - both sweet and savoury. A lot of these new promotions are amongst our Globe Promotion (3 for £5) where you can get to try new combinations such as Margarita Marmalade, Lemon Curd with Gin or Peach Prosecco Bellini Jam. 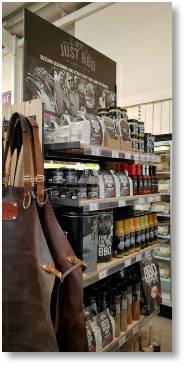 Look out for our Food Hall Tasting Dates (see page 11). ne of the biggest success stories for our Food Hall has been our cake sales. The popularity of the Fatherson Bakery continues to go from strength to strength - we all seem to enjoy a slice of cake in North Buckinghamshire that’s for sure! Our top Fatherson Bakery sellers are Lemon Drizzle Loaf, Fruit Loaf and Butterfly cakes, but there will be some new additions to the range this season - including a Salted Carmel Loaf and a Jamaican Ginger loaf. You’ll notice a few changes elsewhere in the area, including a new Weber BBQ display in the lower shop opposite Bird Care and next to our Restaurant. A full range of gas and charcoal models are displayed together with an extensive range of accessories to make the best of your BBQ. We also introduced a new supplier called Not Just BBQ. This company promotes an assortment of food items that not only make outdoor cooking easier, but make your dishes taste even better! We will be stocking a comprehensive range of rubs (selected herbs and spices), shakers (perfect seasoning), grinders (pre and post seasoning to the dish), seasoning (for ultimate BBQ dishes), marinades, sauces, and much more. Also available are rather dapper real leather aprons,perfect for the protection against splatter and heat. As spring time approaches the wood begins with a pop of yellow, writes Alison O’Hare. After the spectacular display of Snowdrops, Evenley is spoiled with displays of Narcissi. The first one to show its beauty is the Narcissus ‘Rijnveld's Early Sensation’. These have been out in the garden since early December! They will be closely followed by Narcissus cyclamineus (pictured right). These are small but certainly mighty in their yellow splendour, so make sure you see the best of these along the Top Walk, growing well in the acid soil and spreading nicely. There have even been a few on sale at the gate this year. Other highlights include N. ‘Englander’. This is a medium sized Daffodil that is also happy in acid soil. Various other varieties of Narcissus can be seen throughout the wood. Other sights to see in the garden are the first green buds beginning to show, with the Hawthorn leaves being one of the first to emerge. The Magnolia buds are beginning to swell with the arrival of milder temperatures, ready to burst out when the warmer temperatures arrive. Justin Litten, Head Gardener at Evenley Wood Garden, advises that three of the highlights at Evenley during the spring are the Magnolia ' Yellow River', a native of China, Davidia involucrata considered a prime specimen, and of course the very special Magnolia, ‘Evenley Gift’ that was named by the late Tim Whiteley. This spectacular specimen is a cross between M. ‘Simple Pleasures’ and M. ‘Big Dude’ and produces the most wonderful white flowers with a hint of pink that can be at least (30 to 40cm) 12 to 14 inches across when fully opened. This amazing specimen can be seen in Bond Street in the Garden and is best seen when the sun is out. 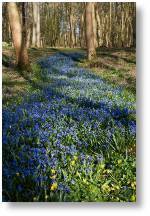 Another firm favourite is the 800 metre long Scilla ‘stream’ (pictured right) crossing the wood with its blue carpet of Scilla siberica and S. bithynica. Stream Garden, Pond Ride and Ash Beds are all areas worth taking in on your next visit. These first signs of what lies ahead can lift the spirits on even the gloomiest of spring days. Sufficiency plot and a Bali Garden, and even, yes, an English Garden. There was a lake teeming with Koi carp but the numerous floating artificial flowers was a bit odd, and bird cages positioned around the site enclosing gorgeous tropical birds was equally bizarre (you wanted to free them in their surroundings) and a butterfly garden without any fluttering creatures to be seen was a tad disappointing. We obviously visited in the wrong week! However, let’s make no mistake this is a plant lovers’ paradise seeing plants that you would normally nurture on windowsills and in conservatories thriving in the humid and hot climate. was it! A gem of scents were unearthed in the fragrant garden, Gardenia the size of Butterfly bushes dripping with heady scents, jasmines twining around tree stems and lots of groundcover Petunias gorgeously scented at your feet I watched two of the Garden staff water some newly planted sub-tropical plants, they literally flooded the area where they had been planted and you could see the water disappearing into the sandy soil. Time passed quickly as we scrambled through the undergrowth into each new zone, however it was the palm garden that really made the visit worthwhile. Towering above like foliage skyscrapers and almost feeling like you’re on the film set of Honey I Shrunk the Kids, it was fantastic. However, we had to move on as our transport awaited and the midges had not quite won the war! Admission: 500 Thai Baht (£11.50) /Midges and Mosquitos free. PUZZLE CORNER - OUR LATE APRIL/MAY CROSSWORD! Would you like to win a £25 Buckingham Garden Centre Gift Voucher? Enter our crossword competition below. Use the clues to fill in the answers. Take the letters from the shaded boxes which form an anagram of a popular bedding plant. 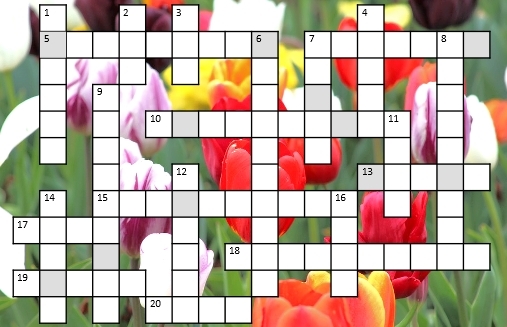 Once you have solved the anagram, send the plant name you have discovered by e-mail to competitions@buckingham-nurseries.co.uk with subject line “April Crossword” or post your entry to April Crossword Competition, Buckingham Garden Centre, Tingewick Road, Buckingham, MK18 4AE. Closing date 31st May 2018. The answers to last months crossword can be found HERE. We have forged strong links with the Winslow & District Community Bus (WDCB) with regular visits of customers coming to the Garden Centre from the neighbouring villages over the past few years. At the same time we have also been developing our schedule of Garden outings as many of you will have enjoyed over the years. However, apart from a few popular destinations we have found it difficult to fill the minimum number of people in a coach for it to be financially viable. We will continue to support the more popular venues, but we are working with the Winslow Community Bus to help promote their visits to gardens this year. The Community Bus is a charity and non-profit making, so prices for transport can be appreciably lower than commercial coach companies and no VAT is due. So, do look out for posters and social media mentions of these visits, including the first one to Hidcote Manor and Kiftsgate Garden on Monday 9th July. The cost of travel will be £10, payable in advance to the Winslow Community Bus. Entrance fees to the gardens will be £8.50 Kiftsgate and £12.70 to Hidcote, these fees to the paid on the day. National Trust members carrying their membership card get free entrance to Hidcote. To book you will need to contact Sue Marchant on 01296 715786 or email wdcbenquiries@btconnect.com or visit www.winslowbus.com Cheques need to be made payable to Winslow & District Community Bus and sent to WDC Bus, Winslow Youth Centre, Avenue Road, Winslow, Buckingham, MK18 3DJ. Depending on interest we hope to support WDCB in other garden-related visits this year. Please check out our Customer Service Desk or on our website for details as they appear. SPRING PROPAGATION on Saturday 28th April, 10am-1pm. Clare will guide you through the arts of propagation, including seeding, softwood cuttings and division. RAISED BEDS AND CONTAINER GARDENING on Saturday 16th June, 10am-1pm. A new Workshop from Clare looking at the practical techniques of construction, the types of plants you can grow together with hints and tips to get the best from your containers. SUMMER PRUNING on Friday 20th July, 10am-1pm. Timely pruning advice covering a host of plants including fruit trees, shrubs, topiary and roses. 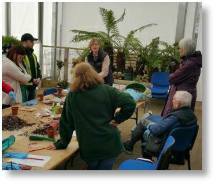 Clare gives you an opportunity to be ‘hands-on’ with some practical pruning sessions too. AUTUMN/WINTER ESSENTIALS on Saturday 20th October, 10am-1pm. 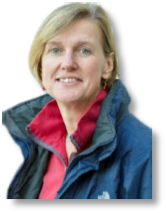 Clare provides a detailed look at the tasks - pruning, planting (potted and bare-root plants) and propagation - which commands our attention at this time of the year. Please note tea or filter coffee will be available at the start and during each workshop. The cost for the Workshop will be £19.99 for valid Buckingham Garden Centre Garden Card holders and £24.99 for those who do not hold a card. There is much written about the plight of the bee so please do not think this will be yet another anti-chemical, anti modern farming practice article as I don’t think I have anything new to add, writes Pauline Brown. What I hope you may find interesting is about how many local bee keepers there are that we have contact with. We have been bee keepers at our Garden Centre for many years and last year had seven active hives here. As a result we always get good crops of fruit, and the bee friendly flowers in the selling area are always very obvious as they will be well visited by bees. In fact several times this year when the sun has been shining (yes it has done!) flowers such as the hellebores have been buzzing with bees. We are well aware of the benefits of consuming local honey, so we have been in contact with local honey producers to ensure we have a supply of local honey available in our shop. Honey from our own bees always seems popular, so much so that we do not have enough but we are members of the Buckingham and District Beekeepers Association who put us in contact with beekeepers we would not otherwise be aware of. The B.D.B.A. are a small friendly group who hold a monthly meeting in Chackmore where they have interesting and informative talks about bees and related subjects. You do not have to be a beekeeper to attend, so if you are interested please contact Ray Mitchell on randtmitchell@tiscali.co.uk. Meadow Bees. This honey comes from a small family business based in Brackley who have bees in Buckinghamshire, Oxfordshire and Northamptonshire. 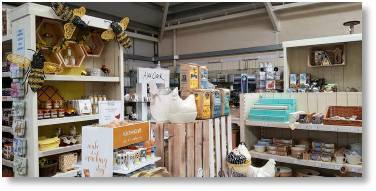 Not only do they sell honey but also arrange beekeeping courses and they have an interesting web-site, www.meadowbees.com. Buckinghamshire Honey. This honey is produced at the Longville Apiary in Newton Longville by J & L Dietsch. We have their set (granulated) honey in stock, but if you wish to restore this to its liquid state this can be easily done by either standing the jar in hot water, or heating it in a microwave on the lowest power. Honey from an Organic Farm. This is from bees kept by Farokh Khoroski in Singleborough. Although his land is certified as ‘organic’ the honey cannot be as the bees are free to fly to non-certified land, but the farm does have native hedges and wild flower meadows so one likes to think the bees have no reason to wander far! Brackley Bees Honey. Despite its name this honey comes from Lara Manton’s hives in Radclive, just down the road from the Garden Centre, so when you see bees on plants here they could be ours or Lara’s. Lara is the daughter of Tony Manton and lives in Brackley, and bee keeping is in the family as Tony has hives locally and takes his hives to different orchards further west to help with pollination. Lara is a ‘young’ beekeeper (under 30!) who is graduating from the Bee Farmers’ apprenticeship scheme but also has qualifications in science. At other times of the year we have honey from our own bees and from Abbey Farm, Singleborough, and we are always looking for other local suppliers. Apart from the honey we also have some useful and ornamental bee related products, pictured right. There are very attractive tea towels, serviettes, decorated food protectors, storage jars and colourful Beehive Memo Boards on which reminder notes can be popped behind the straps. 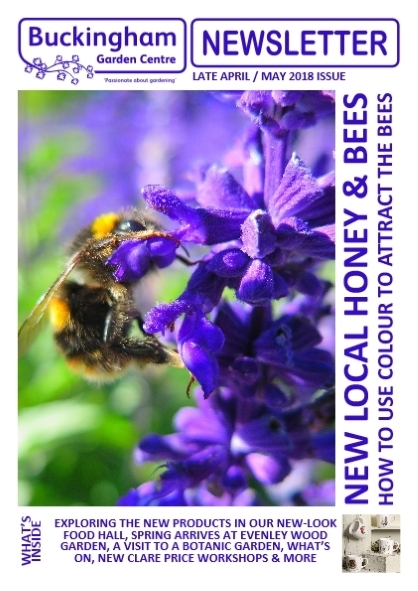 ULTRA VIOLET COLOUR IS WELCOME NEWS TO OUR BEES! When Pantone reveals its annual ‘colour of the year’ prediction, the design world sits up and takes note, says Chris Day. However gardeners are now also looking at the trends of colour so, it begs the question - how will you use this year’s colour - Ultra Violet - in your garden? The colour - known as Pantone 18-3838 is best described as a rich, blue-toned purple that it describes as “a spiritual, cosmic hue” and “a dramatically provocative and thoughtful shade”. The colour already appears in nature - think purple-tinged asparagus, beans, cabbages and berries and that apparently was part of the influence in selecting this colour. adiation beyond the visible spectrum”. But she notes purple’s long-time association with artistic visionaries. “Prince springs to mind,” she says, “and the Impressionists, who loved the colour so much that they were accused by early critics of suffering from so-called ‘violetta mania’.” Oh, by the way this isn’t a reference to growing lots of Violas, it is simply the over use of the colour and its effect in a home or garden setting. So, how can we use this dramatic colour in our gardens? Well, lets start with a massive positive - bees love purple flowers in all their shades. There has been lots of research to suggest purple flowers are the ‘go to’ colour for bumblebees as well as honeybees. The purple preference implies that some bees probably just had an individual, natural preference for purple flowers that turned out to be advantageous and inheritable. But just because bumblebees come preloaded with a purple preference, doesn't mean they are slaves to it. Research carried out at the University of London suggests they're very flexible in their foraging behaviour and they can change their preference. Dr Raine from the University explains: “In the area we studied, violet flowers produced the most nectar - far more than the next most rewarding flower colour (blue). Inexperienced bees are known to have strong colour preferences, so we investigated whether the bumblebee colonies with a stronger preference for violet flowers foraged more successfully in their local flora.” Bees have three colour receptors so they base their colour vision on ultra violet, blue and green. So, how do we get the best Ultra Violet colour into our gardens? If you create your own garden rooms you could of course be bold and paint a wall or fence to create a backdrop to show off your plants. I suspect silver foliage plants, white flowered perennials and maybe variegated shrubs will create the necessary ‘wow’ factor. If, however, you want a pallet of purple flowers then look no further than Alliums, Agapanthus, Anemones, Asters, Crocus, Chives, Dahlias, Delphiniums, Dianthus, Digitalis, Geraniums, Petunias especially ‘Night Sky’ (pictured above right), Phlox, Lavender, Osteospermum, Salvia, Senetti, Verbena, Violas and Wisteria. Good purple foliage plants include the large shrub Sambucus nigra ‘Black Lace’, the herbaceous Sedum telephium ‘Xenox’ and of course the wonderful perennial Heuchera. Choose from the vibrant purple tones of ‘Forever Purple’, ‘Amethyst Mist’ and ‘Obsidian’ to add drama to your pots and border. The Berkshire, Buckinghamshire and Oxfordshire Wildlife Trust (BBOWT) is the only voluntary organisation concerned with all aspects of nature conservation in our three counties. They care for 85 nature reserves that are safe havens for rare and endangered species and habitats. BBOWT’s vision is an environment rich in wildlife, valued by all. Their aim is to lead the way for nature’s recovery, and to connect people with nature. bout and care for our natural heritage, and works with other landowners, seeking to influence decisions to safeguard important wildlife habitats. There are many ways to support their work, from visiting your local reserve (pictured left, Loddon Nature Reserve) and sharing your photos online to help enthuse others about wildlife, to attending a guided walk, to becoming a BBOWT member. 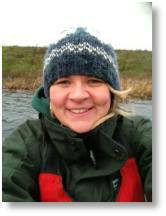 Our first talk from Berks, Bucks and Oxon Wildlife Trust is on Wednesday 9th May (see our events page HERE for full details). We’ll have literature and details available at the Garden Centre together with video information and leaflets available in the main Foyer. We have been working hard to improve the section on our website for our Gardeners’ Retreat restaurant. In the next few months we will be re-launching this section with many brand new features. There will be new areas which will give more details of our breakfasts, light and full lunches. Also menus will all be online for you to see. It will also feature our independent TripAdvisor reviews so that you can see what other customers thought of their visit. There will also be full details of how to contact the restaurant. But the feature we are most excited about will be the new ‘Daily Specials’ page. Each day the restaurant staff will upload details of what the specials will be for that day. There will be a ‘Soup of the Day’, the ‘Chefs’ Specials’, a ‘Pie of the Day’ and a ‘Quiche of the Day’. All this inf ormation will be live on the day. 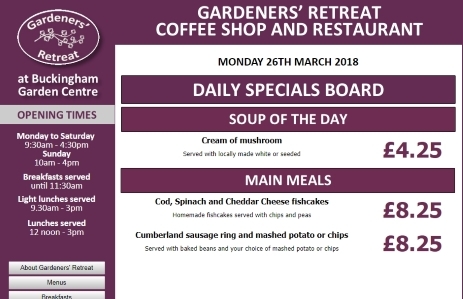 So, as well as standard menus, you will also be able to check the website and see what Daily Specials the Gardeners’ Retreat are serving before your visit! The new section is in the final stages of development. Our IT team are just making a few last minute tweaks and tests to make sure we provide you with the best possible information when visiting the Gardeners’ Retreat. Lookout on the front page of our website, on our social media pages and in the restaurant for more information when this goes live. EVERY SUNDAY Between 10am-3.30pm you can stock up on your fresh vegetables and fruit with Peter Miller and also purchase a superb range of competitively priced fresh meat and poultry from Lee of Crawley’s Family Butchers from Brickhill. MAY TASTING SESSIONS in our Food Hall include on Saturday 19th May Saturday Biscuit tasting with Cartwright & Butler and Saturday 26th May the Cottage Delight Mini Globes Promotion. See in store and TV screens for details. WEDNESDAY 9th MAY We will be delighted to welcome Kate Sheard (left), BBONT’s Community Wildlife Officer for Buckinghamshire to talk about the work BBONT carry out in Buckinghamshire, and also a look at the Milton Keynes Festival of Nature which will be upcoming shortly after this talk The talk will begin at 4pm in the Talks Room in the Restaurant, as part of our Garden Centre talks programme, and will last approx 45 minutes with time for questions afterwards. To book a seat call us on 01280 822133. Free to holders of a valid Buckingham Garden Centre Garden Card, £3 for those without a card. FRIDAY 11th to SUNDAY 13th MAY The Berkshire, Buckinghamshire & Oxfordshire Wildlife Trust will be joining us in the main Foyer between 10am - 4pm. JUNE TASTING SESSIONS in our Food Hall See or events pages on our website, in store and TV screens for details. WEDNESDAY 6th JUNE Garden Centre organised visit to Kew Botanic Gardens. Pick up time 8.30am returning to the Garden Centre by 5.30pm. £55.00 for holders of a valid Buckingham Garden Centre Garden Card, £60.00 for those without a card. See instore for details and to book. Please note early booking is essential as we are limited to 28 places! WEDNESDAY 13th JUNE at 4pm Summer is the time when we should see gardens looking at their very best, but which plants really do perform well and which really do last a season? In this talk we look at a wide range of plants from bulbs through to herbaceous, shrubs and trees that really do give a glorious display during the summer months. Top expert Howard Drury introduces us to his favourite ‘Summer Glories’ in his informative and entertaining style. See Wednesday 9th May for booking details. MONDAY 9th JULY Winslow Community Bus organised visit to Hidcote Manor & Kiftsgate Gardens. Full details available in store. Price £10 for travel, plus normal entry fee to gardens. To book please contact Sue Marchant on 01296 715786. SUNDAY 19th AUGUST Garden Centre visit to Highgrove Garden, Tetbury in Gloucestershire. The visit includes a fully guided tour around the gardens. £65.00 for holders of a valid Buckingham Garden Centre Garden Card, £70.00 for those without a card. See instore for details and to book please contact the Customer Service Desk. We only have 25 places to fill.